To find the best way to transfer money internationally, it’s important to understand the fees, exchange rates and speed of different transfer options. Today, sending money abroad can be done in a matter of minutes no matter where you are. With the development of digital banking and online apps for money transfers, you can make international money transfers and exchange multiple currencies without leaving your home. 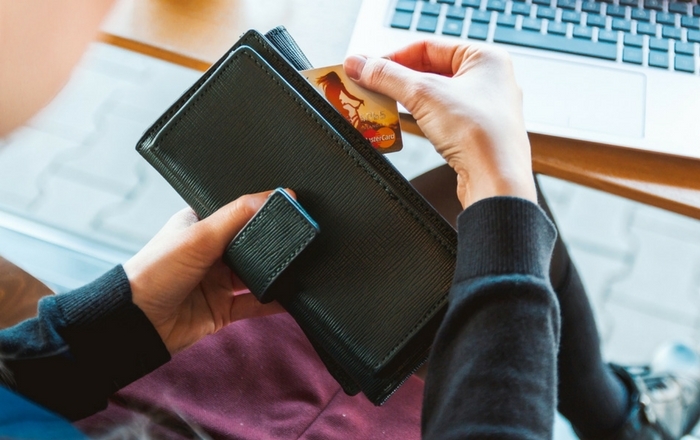 But if you’re not careful, you might end up paying more than you should for the convenience of a fast money transfer; they’re not always necessary nor the best option for large or regular payments. Fees charged for international transfers can be high. It’s worth investigating various providers to make sure you get the best deal when sending money abroad. When you send money abroad, you want to get the mid-market exchange rate. Stay away from hidden fees and ensure your money is safe. You may wonder why you need to find the best exchange rate. Shouldn’t there be one fixed exchange rate that everyone uses to make international money transfers? In fact, there is: it’s called the mid-market rate and is the midpoint between the buy and sell prices of two currencies. In other words, it is between what the buyer is prepared to pay and what the seller is prepared to sell for. Most banks and providers will give you a higher exchange rate when you exchange holiday money or move your money internationally. Essentially, you pay their transaction fee plus an exchange rate fee. However, they don’t tell you about that exchange rate fee, which is why it’s called a hidden fee. It’s important to make sure that the provider you choose fully complies with the regulations of the countries in which they operate. They should also meet the global standards that protect against money laundering, as well as any other international requirements. The traditional ways to send money internationally — via banks and wire transfers — are increasingly being challenged by specialized foreign exchange companies that offer online international money transfers. As you navigate the minefield of varying exchange rates and provider fees, it can be difficult to calculate the best way to make an international money transfer. The most secure way to send money abroad depends on your destination. Most people first think of their bank when sending money abroad. Bank transfers are an easy option for many people, but not always the most cost-effective or convenient method. Bank-to-bank transfers are known for being highly secure, but banks also offer a full range of financial services. They can’t always allocate the same amount of support or online tools as companies that are dedicated only to money transfers. This can also mean that banks have less competitive exchange rates or higher transfer fees than dedicated foreign exchange brokers. This is because the latter can offer better deals due to a high volume of transfers. Some retail banks are known to charge more than €30 in fees, and their exchange rates are not transparent, incorporating a 5–7% margin on top — yet another hidden fee. International bank transfers can usually be done online, in a branch, or via phone. They are completed within a few days. Euro bank transfers within Europe can qualify for the Single Euro Payments Area (SEPA) agreement, which aims to facilitate banking across European borders by making international transfers the same cost as a local transfer. Be sure to check your bank for its specific details. Many people are familiar with international money transfer operators such as MoneyGram or Western Union. These services are renowned for sending money quickly to almost anywhere in the world. 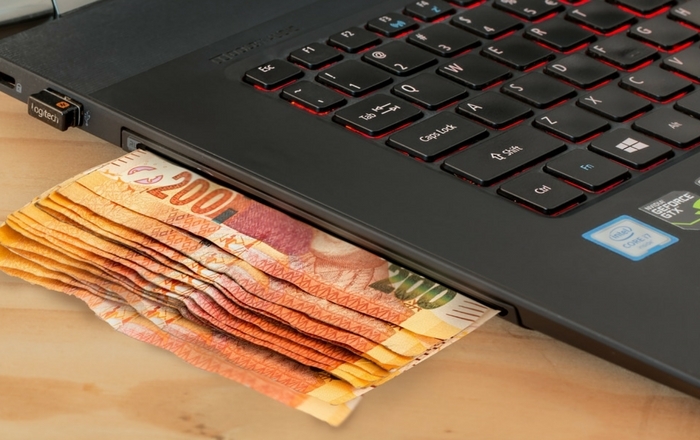 These international wire transfers are particularly useful when a recipient doesn’t have access to a bank account, is in a remote area, or needs cash quickly. One example is in the case of a stolen wallet, where the recipient needs immediate funds. Money operators can be convenient because you can typically transfer money online, via the phone or in-store in a matter of minutes or hours. However, fees for fast, worldwide delivery can be higher than other options; in addition, they may increase with the more money you send. Money transfers can cost up to 5% or more of the transfer amount, and again this varies depending on the amount you are looking to transfer. Some wire transfer services offer deals and calculators to show estimated costs, but they don’t necessarily use the mid-market exchange rate. Online money transfer providers, such as PayPal or OFX can bring some advantages. If both you and your recipient have an account with the same provider, you can usually transfer money instantly online. Fees vary between providers. For example, PayPal sets a rate of 2.9% and €0.35 on domestic transfers; for international transfers, a cross-border fee that ranges from 0.4 to 2%, depending on the destination, applies. If you need a fast, easy transfer, it may be worth the price. However, it is not the cheapest fee when it comes to larger transactions. In terms of safety in the UK and Europe, online providers are regulated by the UK’s Financial Conduct Authority (FCA) and licensed as Electronic Money Institutions. This means that they’re subject to European rules designed to protect people who use payment services. In the United States, online providers must be licensed for money transmission in the states in which they operate, and must comply with all applicable state and federal laws. How does international money transfers work? Thousands of people make international money transfers each day, safely and securely. For instance, let’s say you want to send euros, from Germany, to the United States. You send your money to one of the many financial transfer providers local account in Germany. When that clears, they send dollars from its American account to your recipient in the US. You can normally pay with a bank transfer, or with your debit or credit card. You can make a transfer on a website, mobile app, and even sometimes via Facebook. On average, the money will get to your recipient’s account within 1–2 days. With some providers, transactions complete in a matter of hours. Dedicated foreign exchange (FX or forex) companies are increasingly offering an advanced range of transfer and exchange services to compete with traditional methods of international money transfers. Some benefits offered by FX brokers include free transfers, online money transfers, better exchange rates, 24-hour support, and access to online tools such as foreign exchange alerts and the ability to set your own desired exchange rate. If you’re planning to send large sums of money abroad, using a forex broker can be a convenient option. You must first deposit the funds you want transferred into the FX broker’s account. In general, this is usually done online, although other options exist such as direct payment from your bank. After this, they exchange your money and send it abroad. Although your FX broker might offer a free transfer, your own bank may charge a fee to transfer the money into the broker’s account. However, this will typically be the cost of a local bank transfer (or free) if you use a broker who has a bank account in the same country, or if it is a euro transfer within the EU and qualifies under the SEPA agreement. Foreign exchange providers can typically provide better exchange rates and lower fees than banks because of the high volume of transactions they conduct. Most online FX brokers have calculators on their websites that show you the total estimated costs, exchange rate, and exact amount you will receive after the transfer. These providers typically offer more transparency than other transfer options. Another benefit is that you can often find better support services; FX brokers are specialist firms focused on foreign exchange, such as currency advice and-real time exchange rates. For regular payments — for example, if you pay a mortgage abroad, transfer a salary, or pay international school fees — foreign brokers may offer benefits on transfer fees. They can also let you lock in an exchange rate to regulate the amount you pay in a foreign currency. For one-time payments, locking in exchange rates can also be useful if you need to make a large transfer at an upcoming given date and the market is unstable. If your money transfer doesn’t need to be rushed, you can also create a limit order or set a desired exchange rate to target. This essentially lets you nominate your ideal exchange rate, and you will be contacted when the currency hits that rate. Currency brokers typically offer additional exchange tools and services that most banks don’t offer, which can help you get a better deal when transferring money. Using such services also allows you to protect your transfers from currency risk and stabilize your regular payments. In most cases, when you transfer money abroad, you are undertaking a spot trade. This means your funds are transferred at the current market rate. However, if you are transferring large or regular sums (e.g., buying a property or paying a foreign mortgage), a forward contract can create payment stability. This involves locking in the current market rate for up to two years. The result is that you know exactly how much money you need to cover the required amount of foreign currency, regardless of the market situation. Other useful tools include stop loss orders and limit orders, which are set minimum and maximum rates at which you are willing to trade or send your money. This means you can wait for better exchange rates. At the same time, you ensure your funds will be transferred at the rate set by your stop loss order should the market unexpectedly fall, protecting you from further losses. Why do companies offer such different exchange rates? All foreign exchange providers buy their currency from the private inter-bank market. They then add a margin on top of this when they sell it, the same way retailers do with physical products. Companies offer different exchange rates because they use different profit margins. Exchange rates can greatly affect how much money you receive at the other end. It can also have a particularly notable impact on larger transfers. The foreign exchange market is incredibly volatile, so knowing how to protect yourself from risk is key. Exchange rates can fluctuate on a second-by-second basis. Political, economic, social and environmental developments can all affect the value of a currency. A sudden rise or fall in an exchange rate from an election outcome, for example, could make a significant difference to the total funds you receive from one day to another, as British expats everywhere found out after the Brexit vote. For this reason, timing does make a difference to your transfer. There are many online tools and alerts to help you get the best exchange rate; you can also lock in an exchange rate. Exchange rates, however, aren’t the only fact to consider. The fees to transfer your money vary greatly between providers; it can be free, a set fee, or a percentage of your transfer. Thus, an attractive exchange rate does not necessarily mean you will get more money. For example, a forex provider might charge a zero-transfer fee but the exchange rate might be lower. On the other hand, others might promote highly favorable exchange rates but charge higher transfer fees on top. There’s a lot to think about when transferring funds abroad. Determining how to send money abroad is easier when considering the pros and cons of each service. Know what factors can affect your money transfers so you can better protect yourself from risk. Choose your provider carefully. Don’t just look at their rates; also look at their levels of service and methods of support in case something goes wrong. Decide on the best time for your transfer. Do you have time to wait for a better exchange rate, or do you need to exchange your funds immediately? Look online for the mid-market rate, also known as inter-bank rate. This is the real exchange rate that banks use to transfer money between themselves. You can find it on Google Finance, Reuters, and XE, among other sites. Be aware of hidden fees, which banks and most providers add on top of the exchange rate. They often don’t communicate these to customers clearly. When you need to decide the best way to transfer money abroad, a little research and planning can go a long way. Each money transfer option has benefits and downsides. You’ll need to weigh them according to what you need, whether it’s speed or a low fee, as well as how much money you need to transfer and where it must be sent. Pick the right provider for your needs and you can enjoy simple, fast and cost-effective international money transfers.